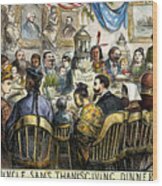 There are no comments for Thanksgiving Cartoon, 1869. Click here to post the first comment. 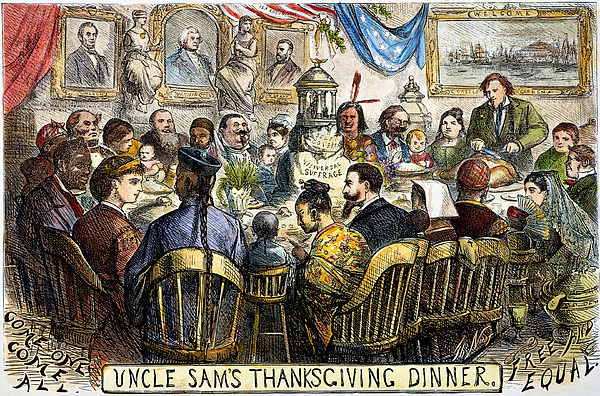 THANKSGIVING CARTOON, 1869. 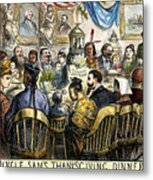 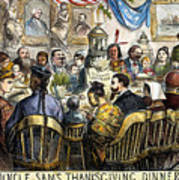 Uncle Sam's Thanksgiving Dinner: cartoon, 1869, by Thomas Nast depicting a Thanksgiving table at which all comers are welcome.